Do you like the look of those black (or white) glitters with different shapes, but hate removing glitter? Well then maybe you will like this stamp. This design from Fab Ur Nails FUN plate #12, is designed to look like glitter. 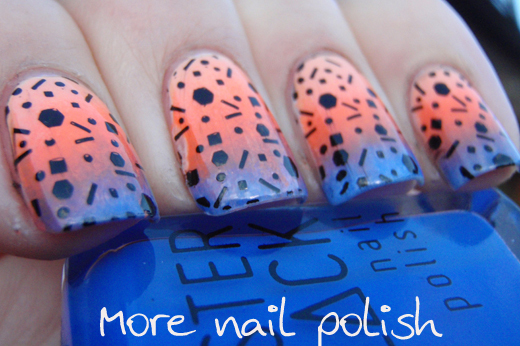 There are large hexes, smaller hexes, squares, dots and bar glitter shapes all perfectly spaced over your nail. 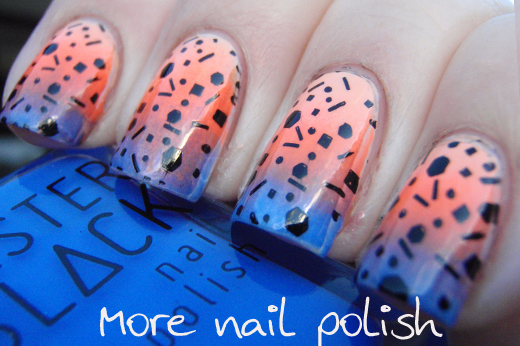 I think it's a really fun and clever full nail stamp. 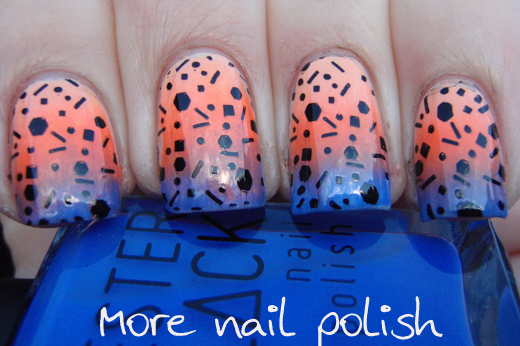 I stamped using Konad black polish over a gradient of Kester Black Blue Raspberry, Paradise Punch and Peach Melba. 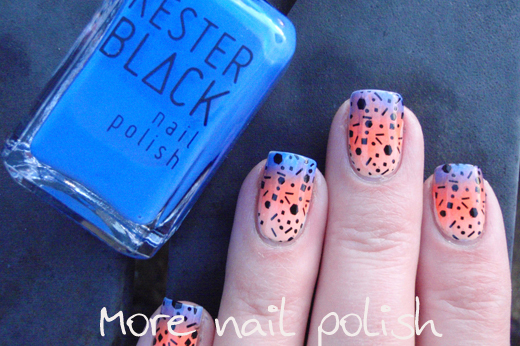 I know I still owe you swatches and reviews of the Kester Black polishes, but I just haven't got around to doing that yet, although I have used them in a number of nail art designs. Fab Ur Nails FUN plate #12 is available from Fab Ur Nails. 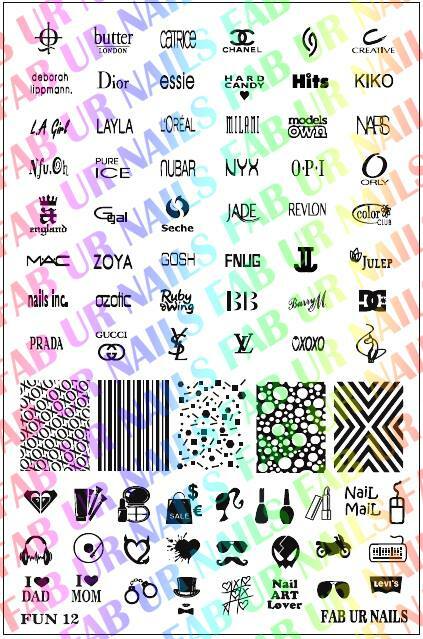 I'm not sure if this form still works to order the plates - I used when I did my pre-order a few months back, but it does have a nice listing of all the Fab Ur Nails plates available. This is a genius idea! :D They're perfectly placed without any fishing and yup, no removal problem! It's just great! OMG! How cute are these! Love the color combo. Ohhh, that's such a cute idea! so neat!! I love the colors you used, brilliant gradient. I seriously thought it was flat black glitter when I saw this at first.